During a trip to the island of Cyprus, living it up and partying the night away can provide you with tons of fun unlike any other destination. Cyprus offers a wide variety of clubs, bars and cafes that stay open until the early hours of the morning. Partying usually starts in the midnight till next morning and the best days for clubbing are Fridays and Saturdays. Spend your days relaxing along the beach in the sun and your nights dancing to top charting hits with friends. Because there are several main areas of Cyprus, you will find different nightlife scenes depending on where you are residing. As the largest city in all of Cyprus, visitors and locals will find a variety of clubs and bars for all in Limassol. Some of the most popular hot spots include Club Volume in Heroes Square, B S Baraonda Limassol, Sesto Senso Gold and the Disco Rich Club. The nightlife in Ayia Napa varies greatly. From sleek lounges where you can sip cocktails to dance clubs featuring live performances from today's hot acts, Ayia Napa has it all. Club Sin, Aqua Club and The Castle Club are just a few popular nightclub destinations in this Cyprus city. The city of Paphos in Cyprus offers many different pubs and clubs aimed more towards couples that are traveling together. 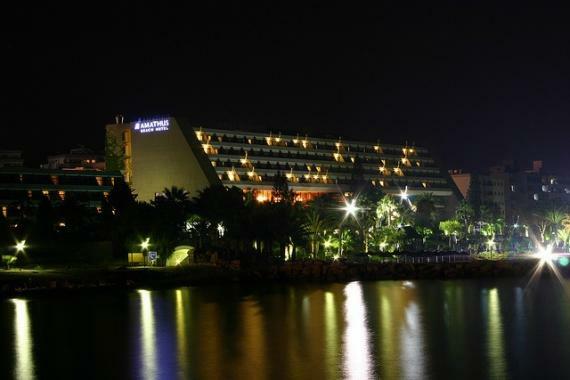 With intimate atmospheres, VIP rooms and events, there's no place quite life Paphos at night. Check out the Gaia NightClub, Joe Bonanno Club and Rumours Night Club for a fun-filled evening. Many clubs, cafes and bars can be found on the promenade in Larnaca, Cyprus. Take a walk along the street to find some of Cyprus' best nightclubs such as Club Deep, Club Topaz, Xub Night Club and the amazing Vogue Exclusive Club.